An internship is a valuable supplement to an undergraduate curriculum. The goal of the internships is to provide students “hands on” experience and skills working in a public garden. Interns may spend the summer and school-year working in the University of Delaware Botanic Gardens with the garden staff learning garden maintenance skills, gaining experience in public horticulture, the importance of record keeping, building their resumes, while also earning an hourly wage. The school-year internship is more limited in scope because of student course work and schedule. The internship experience is gained through garden work, field trips, and garden projects. UDBG’s staff works with interns in all areas of public garden operations. Students familiar with horticulture can use the internships to expand their horizons, discover new aspects in this diverse industry, and help build their resumes. Classes become more meaningful within the context of the practical experience. Employers place great emphasis on work experience when looking for employees. Financial support for student interns is provided by Patrons of the Spring Plant Sale, other generous donations, and two Endowed Summer Internships. 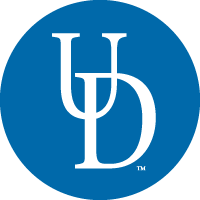 To apply, please submit: 1) letter of interest including career goals; 2) current resume; 3) three letters of reference; and 4) transcript(s) to Andrew Adams, Horticulture Manager, 152 Townsend Hall, University of Delaware, Newark DE 19716, or email aadamsud@udel.edu. See what our former interns are doing now. UDBG has up to four full-time summer internships available for 2019. Students are expected to be highly motivated, hardworking, dependable, ablility to work in groups and independently. Interns will spend the summer working in the gardens with the garden staff, learning maintenance skills and gaining experience in public horticulture. Students will work outside performing a wide variety of maintenance tasks, such as mowing, weed control, planting, hardscape installation, etc. Additionally, they will develop specialized skills such as curatorial work, detailed pruning, propagation, and plant identification. Students will work individually and in groups to accomplish goals set forth for the summer. They learn by example the importance of teamwork and collaboration required to manage UDBG’s collections. Interns will take field trips to local public gardens to further their experience in public horticulture. Students are required to keep a weekly log of their activities. Students may enroll in PLSC 364 for (3 hr) internship credit. It is the students’ responsibility to pay tuition, enroll in PLSC 364 in the appropriate semester, and fulfill the course requirements. Applicants must have a BS degree, as they are admitted as a non-degree graduate student as part of the internship (GRE scores not required). This full-time, year-long internship provides the student with diverse experiences in botanic garden management activities. The intern will work with staff and volunteers to perform horticultural maintenance in the outdoor garden. The intern will serve as a supervisor to summer interns, and interns working throughout the school year. During the late fall, winter, and early spring, the intern will assist with garden programming. Potential activities include educational programming, marketing, web site administration, plant curation, and special event planning. The intern will assist with the annual benefit plant sales, which may include plant propagation and maintenance, labeling, set-up and plant staging and sales. The intern must register for courses, tuition free. Students must integrate courses and work schedule with Director’s approval. Securing housing is the intern’s responsibility, though we will provide assistance. Ample housing is available as Newark is a college town. It is recommended the intern have transportation to take advantage of the numerous horticultural organizations and activities in the area. The expense of a UD parking pass is the student’s responsibility.